Gilbert, home to the Goldmine Mountains, is a very fast growing town of over 200,000 located southeast of Phoenix. It is between Mesa and Chandler. The city is a bedroom community for Phoenix and Tempe. 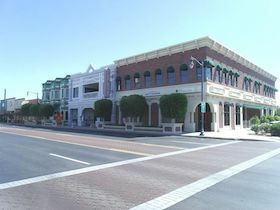 Gilbert is characterized as more suburban and more of a town than nearby Chandler, although the latter has a stronger economic base. 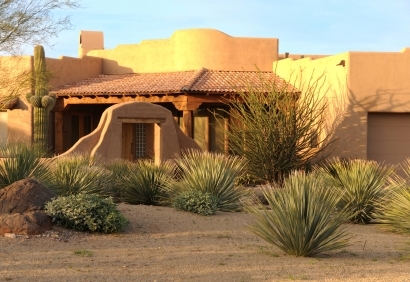 The town's average income is much higher than the rest of Arizona. Gilbert real estate has held up better in the Arizona real estate debacle than many communities to the west of Phoenix. According to Zillow, the median home value was at $335,700 in early 2019, and calls it a "Very Hot" market at this time. The summers are brutally hot. This is a very fast growing town and there is always uncertainty about how it will end up. Crime in Gilbert tends to hover at least 25% below the national average. Phoenix and its larger suburbs have some of the world's finest medical facilities. Sky Harbor Airport is a short drive (25 minutes) away with its connections to anywhere in the world. Mesa also has an airport. There is a park and ride facility for bus service to Phoenix and possible future light rail. Compared to other communities, Gilbert is below average in walkability.